So when I was asked to review the new Molly Makes $7 Slow Cooker Suppers Quick & Easy I was quite excited because I love cookbook. *grin* My husband would say I am addicted to them and that I have too many of them. He would also like to see me use all the recipes from all these books before another cookbook enters this house. But this one is different. How’s so? Well first all recipes won’t go over 7$ - guarantee. Each recipe has a detailed cost list on the side. Sometimes the recipes have a picture to show what the meal looks like. I think I am more attracted to a recipe if I have a picture with it. I guess I am the kind of gal who like to see the food before trying it out. So one day this week, I decided to make one of the recipes from this cookbook. I picked Italian Pork Chops and we sort of doubled it (okay maybe tripled it...). Result? Well all day the house was smelling so good. Even though I was sceptic because I had tried other crockpot recipes in the past that didn’t turned out as expected. Supper time arrived and we made Catelli Bistro Spaghettini Sun-Dried Tomato & Basic noodles to serve with the Italian Pork Chops. It was a hit with the whole family. The pork chops were tender and delicious. There are lots of interesting recipes that I want to try in this cookbook. And one of then will be the Dr. Pepper Chicken. This is definitively the next recipe I will do from the Molly Makes $7 Slow Cooker Suppers Quick & Easy. Inside this cookbook, you will find recipes for everything; soups and stews, beef, poultry and fish, pork, meatless and sandwiches. And to top it off you will also find a bonus section with sides,breaksfast and desserts! I highly recommend the Molly Makes $7 Slow Cooker Suppers Quick & Easy. You will have your money’s worth of recipes and you will learn to make delicious meals for the fraction of the cost. Molly Makes $7 Slow Cooker Suppers Quick & Easy is available for 7.95US at the Old Schoolhouse Store. Here's something I made for my son Dominic who is turning 6 today! I love him very much. Bailey: “Radar, I almost forgot. 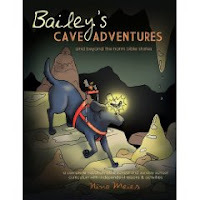 While I was out flying”--Radar whispers to the audience, “And crashing”-- “I heard some kids talking about going spelunking, that’s cave exploring, and someone who does that is called a spelunker. Anyway, I was thinking I’d make a great spelunker, and I’ve never been very far into the cave, I could go all the way down to the dark zone! It would be a real adventure!” (Getting excited). I am privileged to be part of the 10 people who reviewed this product. Essentially, it can be used as a Sunday School Curriculum, a VBS or in a homeschool environment. It is geared for the minds of children aged 2-10 years old. This curriculum is divided in three parts. Part 1 is beyond the norm bible stories. . What the author means by beyond the norm is quite simple. Children probably heard the story of Samson and the strength that he had. But do they know the events leading to his birth? This section of the book, will introduce the children to the story leading to some events from the Bible that they probably know. At the end of each story, a list of props and/or questions is available. Also included is an illustration on how the children can apply it to their lives. Part 2 is about God’s special plan – the Creation Story. This section will introduce the children on how to enjoy, appreciate and take care of God’s creation. It is a good time to stop and look with your eyes the world around you and realize how creative was God when He decided to create Earth. I think this curriculum is quite interesting. In all, you will find two 12-week Sunday School curriculums. When am I planning to use this book? Well we are trying to plant a church so I could use this there but I will also use this during the week as we are homeschooling. Who is Dr. Lew Sterrett? HOW DID SERMON ON THE MOUNT (SOTM) GET STARTED? WHAT IS YOUR MISSION WITH THIS ORGANIZATION? At first it was simply God dealing with my own heart as I saw my own values and character mirrored in the horses I worked. Then I began to accumulate small insights that helped others see a clearer picture of God’s good purpose for their lives. However, as with the collection of small amounts of gold dust, soon the wealth and riches of God's Word became clearly evident to all through SOTM. As the word got out, invitations came from all over the country to come and share it with others. Our mission is simple: to teach and illustrate through the horse/trainer relationship both God’s plan for redemption and abundant living. It is our belief that God has just begun to use this tool and that a global opportunity is yet before us. YOU SUGGEST AT VARIOUS POINTS IN YOUR BOOK THAT TRAINING HORSES IS ABOUT TEACHING THEM TO TAKE SIMPLE STEPS. WHAT LESSON CAN CHRISTIANS TAKE FROM THIS TRAINING? 'Obedience is better than sacrifice, and to hearken than the fat of rams' (Isaiah 15:23). Man often pursues unhealthy habits and poor decisions with impulse sacrifices. Perhaps people can be bought off for a time, but God values faithfulness over impulsiveness because faithfulness results in confidence. Little steps that are taken consistently bear far better fruit over the long haul than great talent; character prevails over skill. When applied to the home this produces harmony and growth. YOU'RE A DAD TO TWO ADOPTED SONS, BOTH OF WHOM HAD TRAUMATIC UPBRINGINGS. HOW DID YOU FOSTER GOOD RELATIONSHIPS WITH THEM? WHAT INSPIRED YOU TO DO SO? My two sons grew up in the foster care system and lived in an average of five different homes every year until the ages of 7 and 9 when we adopted them. Besides the mere instability of their youth, there were innumerable messages of rejection. My wife and I were drawn to them when the oldest attended MMR and then were introduced to the younger via Social Services. God gave us an immediate love for them. Needless to say, our lives changed as we decided to homeschool both for the sake of bonding with them but also to try to equip them with what they never received from the public sector. They needed to learn firsthand about God’s love for them and the healing hand that He extended to them. There were lots of very painful episodes in our journey, yet God has truly gotten a hold of their hearts and we are much encouraged by their growth and stability in Christ. If the truth were told, I think we learned more from them than they did from us. IF THERE IS ONE MESSAGE YOU WANT READERS TO TAKE AWAY FROM YOUR BOOK, WHAT IS IT? Every trainer wants a relationship with the horse. Man’s ways are opposite to God’s—we are deceitful and addictively self-absorbed—but God wants a relationship with us. To get there, God often has to corral us and get us to face the futility and deception of our own reasoning. Like the horse, we can’t 'save ourselves.' The story of this book is that not only does God want a relationship with every reader, but He has already sent the trainer, the Lord Jesus Christ, into our arena to speak our language and to elevate us to fellowship with him. It is our privilege to respond to Him in humility (repentance) and trust (faith) in His offer of forgiveness and eternal life to all who believe in Him for salvation. I’ve heard a lot in the past about how the techniques to reach out to a horse can be easily applied for young people in need. I think there was even a TV show at one point about a ranch accepting rebellious teenagers and the owner helping them to get over their problems. This book is quite interesting and gives a new perspective on Christian relationships. Not only the author gives plenty examples about his training experience with horses but he also includes personal stories and real life examples as well. The anecdotes that Dr. Sterrett brings will keep you reading for more especially if you like horses. I like horses but I discovered a while back that I was allergic to them. But I admire these creatures especially when they run. Last year, I had the opportunity to go to a special activity for homeschoolers with my two older children. The activity was about how to care for a horse. We learned a lot from grooming, feeding, and caring for the animal but also on training the animal to respect you. Reading the book Life Lessons from a Horse Whisperer brought back the memories of what we had learned that afternoon. This review was possible because I received a copy of Life Lessons From A Horse Whisperer from LitFuse Group. Life Lessons From A Horse Whisperer is available at any bookstore even on amazon.ca and indigo.ca. "Young people, enjoy yourselves while you are young; be happy while you are young." So to celebrate the Olympics, we are going to sled at the park near my house this morning with two other homeschool families that I know. And to top it off - It's a beautiful snowy day! Wiersbe Bible Study Series - 1 & 2 Timothy, Titus, Philemon: It's Always Too Soon To Quit! Wiersbe Bible Study Series – 1 & 2 Timothy, Titus, Philemon: It's Always Too Soon to Quit! Paul used the Greek word pistos (“faithful”) at least seventeen times in these three letters. The theme runs through each chapter: Be faithful to the Word, be faithful to your task, be faithful to the people to whom you minister. God is faithful! But don’t get the idea that the Pastoral Epistles are only for pastors and other “full-time Christian workers.” These three letters are for every Christian, every church member. I have added a chapter on Philemon because what Paul wrote to him fits right into the theme of this study. Philemon faced a difficult problem with his runaway slave, Onesimus, and Paul’s counsel encouraged Philemon to be faithful to the Lord in solving that problem. As you study these letters, I want to help you understand the ministry of the local church and also encourage you to stick with it! If you and I are faithful to the tasks God has given us, then His work will prosper and His name will be glorified. Could we ask for more? February AD 60 (see Acts 27—28). There he had liberty to minister. Paul was acquitted of the charges and released. During the two years that followed, he ministered in various places and wrote 1 Timothy and Titus. About AD 65, he was arrested again but this time put into a dungeon. It was then that he wrote 2 Timothy, his last letter. This study is designed for both individual and small-group use. We’ve divided it into eight lessons—each references one or more chapters in Warren W. Wiersbe’s commentary Be Faithful (second edition, David C. Cook, 2009). While reading Be Faithful is not a prerequisite for going through this study, the additional insights and background Wiersbe offers can greatly enhance your study experience. The Getting Started questions at the beginning of each lesson offer you an opportunity to record your first thoughts and reactions to the study text. This is an important step in the study process as those “first impressions” often include clues about what it is your heart is longing to discover. The bulk of the study is found in the Going Deeper questions. These dive into the Bible text and, along with helpful excerpts from Wiersbe’s commentary, help you examine not only the original context and meaning of the verses but also modern application. Looking Inward narrows the focus down to your personal story. These intimate questions can be a bit uncomfortable at times, but don’t shy away from honesty here. This is where you are asked to stand before the mirror of God’s Word and look closely at what you see. It’s the place to take a good look at yourself in light of the lesson and search for ways in which you can grow in faith. Going Forward is the place where you can commit to paper those things you want or need to do in order to better live out the discoveries you made in the Looking Inward section. Don’t skip or skim through this. Take the time to really consider what practical steps you might take to move closer to Christ. Then share your thoughts with a trusted friend who can act as an encourager and accountability partner. Finally, there is a brief Seeking Help section to close the lesson. This is a reminder for you to invite God into your spiritual-growth process. If you choose to write out a prayer in this section, come back to it as you work through the lesson and continue to seek the Holy Spirit’s guidance as you discover God’s will for your life. A small group is a dynamic thing. One week it might seem like a group of close-knit friends. The next it might seem more like a group of uncomfortable strangers. A small-group leader’s role is to read these subtle changes and adjust the tone of the discussion accordingly. Have volunteers take turns reading excerpts from Scripture or from the commentary. The more each person is involved even in the mundane tasks, the more they’ll feel comfortable opening up in more meaningful ways. The leader should watch the clock and keep the discussion moving. Sometimes there may be more Going Deeper questions than your group can cover in your available time. If you’ve had a fruitful discussion, it’s okay to move on without finishing everything. And if you think the group is getting bogged down on a question or has taken off on a tangent, you can simply say, “Let’s go on to question 5.” Be sure to save at least ten to fifteen minutes for the Going Forward questions. Finally, soak your group meetings in prayer—before you begin, during as needed, and always at the end of your time together. • Read 1 Timothy 1—2. This lesson references chapters 1 and 2 in Be Faithful. It will be helpful for you to have your Bible and a copy of the commentary available as you work through this lesson. Timothy was born of mixed parentage: His mother was a Jewess, his father a Greek. He was so devoted to Christ that his local church leaders recommended him to Paul, and Paul added him to his “missionary staff” (Acts 16:1–5). Paul often reminded Timothy that he was chosen for this ministry (1 Tim. 1:18; 4:14). Timothy was faithful to the Lord (1 Cor. 4:17) and had a deep concern for God’s people (Phil. 2:20–22). But in spite of his calling, his close association with Paul, and his spiritual gifts, Timothy was easily discouraged. Paul wrote the letter we call 1 Timothy to encourage Timothy, to explain how a local church should be managed, and to enforce his own authority as a servant of God. 1. What clues does Paul give in the first two chapters of 1 Timothy about Timothy’s tendency to be discouraged? (See especially 1 Tim. 1:18–19.) Why do you think Paul mentions that he has “handed over to Satan” Hymenaeus and Alexander? 2. Choose one verse or phrase from 1 Timothy 1—2 that stands out to you. This could be something you’re intrigued by, something that makes you uncomfortable, something that puzzles you, something that resonates with you, or just something you want to examine further. Write that here. One reason Christian workers must stay on the job is that false teachers are busy trying to capture Christians. There were teachers of false doctrines in Paul’s day just as there are today, and we must take them seriously. These false teachers have no good news for lost sinners. They seek instead to lead Christians astray and capture them for their causes. 3. How does Paul’s use of military language speak to an urgency in battling the false doctrines in the Ephesian church? What are some similar circumstances in today’s church where a “command” to a church leader might be appropriate? What are the risks of not responding to the false doctrines swiftly and decisively? More to Consider: Read Galatians 5:1–6. How does this passage speak to the “ false doctrines” of religious legalism that Paul is warning against in 1 Timothy 1:3–11? The mention of “the gospel of the glory of the blessed God” (1 Tim. 1:11, literal translation) moved Paul to share his own personal testimony. He was “Exhibit A” to prove that the gospel of the grace of God really works. When you read Paul’s testimony (see also Acts 9:1–22; 22:1–21; 26:9–18), you begin to grasp the wonder of God’s grace and His saving power. 4. Review 1 Timothy 1:12–17. What do these verses tell us about Paul’s testimony? What arguments does he put forth to illustrate the gospel of grace in his own story? The city of Ephesus (in present-day Turkey) was at one time a city of nearly half a million people. Among other things, it was known for the Temple of Artemis (Diana). People came from far away to worship the goddess of fertility. The temple itself, which took more than a hundred years to complete, is often referred to today as one of the “Seven Wonders of the Ancient World” and is evidence of the strong pagan influence in the city of Ephesus during Paul’s day. 5. What impact would the pagan environment have had on Timothy’s ability to serve the church in Ephesus? What sorts of challenges might he have faced that were unique to a city that was known for its worship of a fertility goddess? How might knowing this about Ephesus have influenced the manner in which Paul addressed Timothy? It was not easy to serve God in pagan Ephesus, but Timothy was a man under orders, and he had to obey. The soldier’s task is to “please him who hath chosen him to be a soldier” (2 Tim. 2:4), and not to please himself. Furthermore, Timothy was there by divine appointment: God had chosen him and sent him. It was this fact that could give him assurance in difficult days. 6. How does Paul’s personal story (1 Tim. 1:12–13) speak to the idea of being divinely appointed for the leadership task? How might this have offered encouragement to Timothy? How does this resonate with the way we view church leaders today? Timothy must have been greatly helped and encouraged when he read this first section of Paul’s letter. God had called Timothy, equipped him, and put him into his place of ministry. Timothy’s job was not to run all over Ephesus, being involved in a multitude of tasks. His job was to care for the church by winning the lost, teaching the saved, and defending the faith. Any task that did not relate to these ministries would have to be abandoned. 7. Why was it important for Timothy to focus on the local church? What greater value could this focus have had on other efforts to reach the Ephesians? In what ways do the leaders of churches today succeed in staying focused? In what ways does the church fail in this? How can Paul’s words in chapter 1 help redirect a church that has lost focus? Often, what we think is the “freedom of the Spirit” are the carnal ideas of some Christian who is not walking in the Spirit. Eventually this “freedom” becomes anarchy, and the Spirit grieves as a church gradually moves away from the standards of God’s Word. To counteract this tendency, Paul exhorted both the men and the women in the church and reminded them of their spiritual responsibilities. 8. Review 1 Timothy 2:1–8. What were the spiritual responsibilities Paul described specifically for the men of the church? Why do you think he separated the responsibilities of men and women in this and the next section? How much of what Paul described is specific to the culture of the time, and what can we derive from this passage that is universally helpful for all believers, men or women? More to Consider: Read Matthew 6:5; Luke 18:9–14; James 4:1–10; and 1 John 5:14–15 to see examples of problematic attitudes some people bring to prayer. How does Paul’s exhortation in 1 Timothy 2:1–4 speak to the concerns raised by these passages? The word translated “subjection” in 1 Timothy 2:11 is translated “submitting” and “submit” in Ephesians 5:21–22 and Colossians 3:18. It literally means “to rank under.” Anyone who has served in the armed forces knows that “rank” has to do with order and authority, not with value or ability. Submission is not subjugation. Submission is recognizing God’s order in the home and the church and joyfully obeying it. When a Christian wife joyfully submits to the Lord and to her own husband, it should bring out the best in her. 9. Review 1 Timothy 2:9–15. What are the specific responsibilities Paul outlines for women in these verses? What makes this passage somewhat controversial in today’s church? Again, how much of what Paul writes is specific to the culture of the time, and how much is directly applicable today? Paul gave several arguments to back up this admonition that the Christian men in the church should be the spiritual leaders. The first is an argument from creation: Adam was formed first, and then Eve (1 Tim. 2:12–13). The second argument has to do with man’s fall into sin. Satan deceived the woman into sinning (Gen. 3:1ff. ; 2 Cor. 11:3); the man sinned with his eyes wide open. Because Adam rejected the God-given order, he listened to his wife, disobeyed God, and brought sin and death into the world. The submission of wives to their own husbands is a part of the original creation. 10. What is your initial reaction to Paul’s arguments about why men should be the spiritual leaders in the church? Why do you think Paul makes this distinction in his letter to Timothy? What can we discern from this that is applicable to today’s church leaders? Take a moment to reflect on all that you’ve explored thus far in this study of 1 Timothy 1—2. Review your notes and answers and think about how each of these things matters in your life today. Tips for Small Groups: To get the most out of this section, form pairs or trios and have group members take turns answering these questions. Be honest and as open as you can in this discussion, but most of all, be encouraging and supportive of others. Be sensitive to those who are going through particularly difficult times and don’t press people to speak if they’re uncomfortable doing so. 11. When have you been discouraged like Timothy? How did you respond to that discouragement? How can Paul’s words of encouragement to Timothy help you? 12. Timothy was battling the false doctrine of legalism. How have you battled that in your church? In your own life? Why is it so easy to fall into legalism? How do Paul’s words to Timothy help you understand the gospel of grace? 13. What is your response to Paul’s exhortations to men and women at the end of 1 Timothy 2? How are Paul’s words applicable to your life? Do you agree with everything he says? Why or why not? 14. Think of one or two things you have learned that you’d like to work on in the coming week. Remember that this is all about quality, not quantity. It’s better to work on one specific area of life and do it well than to work on many and do poorly (or to be so overwhelmed that you simply don’t try). Do you need encouragement? Do you need to fight the temptation to be legalistic? Be specific. Go back through 1 Timothy 1—2 and put a star next to the phrase or verse that is most encouraging to you. Consider memorizing this verse. Real-Life Application Ideas: Invite a discussion with other church members about how you can support and encourage the church leadership. Brainstorm specific ways you can encourage the leaders, and then take action on these ideas. group members about your ideas and commit to being accountable to one another. • Before you start the next lesson, read 1 Timothy 3. For more in-depth lesson preparation, read chapter 3, “Follow the Leaders,” in Be Faithful. ©2010 Cook Communications Ministries. The Wiersbe Bible Study Series - 1&2 Timothy, Titus and Philemon by Warren Wiersbe. Used with permission. May not be further reproduced. All rights reserved. I've discovered Wiersbe last year when I had to review the Transformation Bible which I am reading daily since January. I find I am growing so much while reading it. So when I saw that a bible study was available from the same other, I requested it. The cover is so beautiful and reminds me of the upcoming spring season and Easter. This wonderful study will help you dig into the Word of God via various ways. First you will spend some time reading the scriptures then the author gives you context from the commentary. You will have to go through some questions that will have you ponder and think about what you have read. There are also history tidbits that will give you more context about what happened during the time these scriptures were written. After you get started, you will go deeper, look inward into your own life, go forward in applying what you have learned and pray that God will help you. This specific study will give you leadership lessons, understand the job of a pastor, discover the order and orders are necessary in life, unveal what church health is, and get courage from the scriptures. I find that every time I read or go through some books from Wiersbe, I grow in my faith. So I recommend it to anyone who wants to know more about it. This bible study is good for individuals or in a group setting. The Wiersbe bible Study of 1 & 2 Timothy, Titus, Philemon - It's Always Too Soon to Quit! is available at your christianbook store near you! Whales are majestic creatures! I’ve been on a boat to a whale expedition when I was a teen and enjoyed it so much. One of my dreams is to bring my husband and kids to such a trip one of these days. In the meantime though, we can enjoy them when we go to aquariums or places like Marineland. And to prepare for such a trip, Amanda Bennet new Download N Go Unit Study on Whale Tales is a must. This unit study will make you discover more about whales from where they live to their diet. We all know that whales sing beautifully but what else do we really know about this majestic mammals living in the ocean? 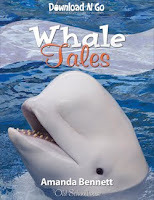 Through Whale Tales you will learn a lot about whales and even explore their world via the internet! The children will also discover a bible book that is well known for the whale in it. You guessed it, Jonah and his adventure in the whale’s belly is part of this study. Again I can feel the level of research done while writing this amazing unit study. The videos are simply stunning and the activities very fun to do. Learning happens best when there is fun I found. In the Download N Go unit studies we have done in the past, my oldest children always find it very special to sit down and watch a video on the subject. While I was reviewing this particular unit study on whales, my oldest son was with me and enjoyed the videos as much as I did. When he saw the video about the whale encounter while being in a tourist submarine, he thought it was way cool. I always knew that whales communicate by singing but to listen to them is so breathtaking. It always remind me the Star Trek movie The Voyage Home where the crew has to go back in time to get some whales so they can rescue planet Earth. This new Download N Go Unit Study is absolutely fantastic to learn more about whale. After going through it, you will be totally amazed by God’s wonderful creativity in creating mammals that live in water. And you will be prepare for your next trip at the aquarium – providing you have one close to home or wherever you go on a trip. Whale Tales, a Download N Go Unit Study, is available at The Old Schoolhouse Store for 7.95$ US. 2009 has been a hard year for us on many levels. Our church plant was struggling and we had to shut down for a couple of months. The business had troubles due to lack of contracts and we had to lay off our employees for a period of time (this is hard when you know some of them have kids... sigh), we battle the dark depression both of us but not at the same time (thank goodness)... this is only to mention a few things that was going on. But this brought us close to God as well which is VERY good. In the last month, we have been blessed twice with our finances. It's incredible what God can do. Okay to give you a bit of perspective, let me tell you about the business. We are in the IT world building databases for clients in the area. Well back int he Spring 2009, the federal government has changed the rules concerning contracting. Back then we wanted to release LobsterNetwork so we didn't worry too much when we were not getting calls for contracts. All three employees were working on LobsterNetwork and that's what we wanted. But then September arrived and we sensed something was bizarre. No calls. Now to think about it - it was a while since we had calls... Mmmm! Not good. We learned about the changes then. We had to layoff our guys. Sad time. Very hard time. OUCH! But then contracts came in. We re-hired the guys. Problem is the money don't usually come until a month or two later. Mostly a month later. So we are still in a thight spot even though we have contracts. We are getting out of it slowly but man it though. Recently, we had a business bill to pay. But how should we pay it when the money is low. We pay the employees no worries about it. We usually take the hit as we pass the employees first. So we had that bill to pay which was about 1500$ or so. I know about the bill but not the amount. One day I go to the mail and bring back an envelop from the government for the business. Inside it a refund cheque for the GST. Believe it or not the amount is 5$ less than the bill we had to pay. God is so good. We had forgotten about the refund we were supposed to get.... and it arrived exactly when we needed it. Amazing! It will be taxes season soon here in Canada. So since we know the amount of our donations, we did a draft to see how much would we owe in taxes. We had put aside some money back in 2009 to cover this but when times were hard we had to use some of it. So we needed to know how bad the situation was. So we do the taxes and we just couldn't believe our eyes. I was emotional at that point. A good emotional that is. Why? Because it turns out that we don't owe much but instead we shall receive. Unbelievable. God is indeed good and takes care of us. The first products I received (via email) were from Home School In The Woods. It was the Olde World Style Modern and Ancient Maps: World Maps AND the Old World Style Modern and Historical Maps: United States Maps. I was looking into it and realized the quality of the product. I had tears in my eyes. I was indeed blessed beyond measure and I just couldn't believe that I had a wonderful geography tool to use with my kids. I won't tell you more about it because I will write a review soon on Canadianladybug Reviews! - if you want to know more about it follow me there! Something else came up for me to review, Math Galaxy has a bunch of software to review. And from I see it looks pretty good... Then there will be Educaching which looks really cool. So I am not worried. God will take care of us. I am blessed indeed. Thank You Lord for taking care of us, the business and homeschooling. Start saving your time, money, and sanity today! Michelle LaRowe is a national speaker, parenting consultant, and author of the Nanny to the Rescue! series and Working Moms 411. The 2004 International Nanny Association "Nanny of the Year" and a credentialed career nanny for more than twelve years, Michelle has also been lauded for her dedication to improving the quality of in-home child care. When I selected this title to review, I was expecting something else. Mind you I am not saying that the book is not good. Actually it would be an amazing book to have for a new mom or a mom-to-be. But with four children already – my oldest will turn 9 this summer – I was hoping to find also lists for older kids. The book contains lists for preparing for baby, list for the first year, lists for the toddler years, lists for the preschool years, lists for family and friends, lists for general health and safety, and finaly lists for saving your time, money , and sanity. There are many interesting lists in this book. I might jolt down some ideas like the family movies lists and take some tips from the Dos and Dont’s of Dealing with Sibling Rivalry (I was a single child and sometimes my kids drive me nuts...), but in the end I think this book will be more useful to a new mom or mom-to-be. This review was possible because I received A Mom’s Ultimate Book of Lists from Revell through Graf-Martin Communications. A Mom’s Ultimate Book of Lists is available everywhere even at amazon.ca and indigo.ca. This is the second in a four-volume series covering the history of the world from ancient through modern times. Who is Susan Bauer Wise ? Susan was born in 1968, grew up in Virginia, and was educated at home by pioneering parents, back when home education was still unheard of. She learned Latin at age ten, worked as a professional musician while still in high school, and wrote three (unpublished!) novels before she turned sixteen. Since then, she has toured with a travelling drama group; galloped racehorses at a Virginia racetrack for spending money; taught horseback riding; worked in ghostwriting and newspaper ad sales; learned enough Korean to teach a Korean four-year-old Sunday school; and served as librarian and reading tutor for the Rita Welsh Adult Literacy Center in Williamsburg. Currently she runs Peace Hill Press, writes in a restored chicken shed, lectures on writing and history, helps run the farm, and cooks huge meals on a regular basis. Susan and her husband now live in rural Virginia, where Peter serves as the minister of a nondenominational church. They have three sons and a daughter; five dogs; three horses; three cats; and a variable number of chickens. Who doesn’t know Susan Wise Bauer? It’s a fair question because until last year I didn’t know who she was. Have you heard or read the Story of the World? Then you know who she is and you are probably thinking that this book will be marvellous. Well, it is. From what I have read, I appreciate her skills and her talent of bringing history to life. This book is written more for the high school ages (grades 9 to 12) – literally. The fiction style has been dropped but she is presenting the history of the medieval world in an accurate way. The book starts with Constantine and goes up to the Crusades. It will make the student go through various civilizations to see how history has been written over time. Throughout the book detailed maps illustrates the history as you read. Also at the end of each chapter you will find a timeline which will help you visualize when and where this part of history has taken place. You will read about the rise and fall of Empires time - Romans, Chinese, Indian, and Persian to name only a few - and how they intertwined each other through. You will learn more about the various people who made history and how they dealt with revolts, how they made decisions and their life in general. I so wish I had a physical copy to read and write comments or insights inside as I read... but I had the privilege to read from an online copy. I consider myself blessed to have been exposed to the works of Susan Bauer Wise for a higher level student. This is definitively a series worth looking into if you want your high school student to learn more about history. This book has more than 85 chapters to cover the history of the Medieval World and the time I had to review it wasn’t enough for me to read through the whole book. But I was greatly pleased with the chapters I’ve read and learn a lot about the major events and the people from this time. This review was possible because I was given access to an online edition of the book The History of the Medieval World: From the Conversion of Constantine to the First Crusade by Well-Trained Mind. The History of the Medieval World: From the Conversion of Constantine to the First Crusade is available everywhere even at amazon.ca. This week I have been asked to jump on board of the TOS Homeschool Crew to finish the 2nd voyage. I gladly accepted and look forward to the great products the crew will review for the rest of the year. On another note, I am trying to expand my experience at reviewing products. I love books but it would be nice to review other things as well like video games for Wii and Nintendo DS, movies, DIsney products, RV Products, more toys. Anyhow, when I have a minute or two, I send emails to various companies to see if they would be interested in a review. Sometimes I get no answers, sometimes they tell me no, other times they say yes. Right now, I am waiting to see what and when I will receive something. But it's exciting. No child is too young to begin learning about the greatest love story of all—God’s love for his people, as portrayed in the Bible. David R. Helm and Gail Schoonmaker collaborate to create a beautifully illustrated book of Bible stories especially for children, written with simplicity. Rather than simply retelling the most familiar short scenes from the Bible, this book presents the “big picture”—the unified story running through the Old and New Testaments. This delightful book will help children learn the Bible’s whole story and begin to appreciate the fulfillment of God’s promise to his people. 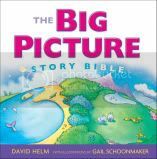 The Big Picture Bible Story Book is perfect for parents to read to their children, and eventually, for children to read on their own. It is an excellent way to introduce them to a book that will guide them through all of life. David Helm serves on the pastoral staff of Holy Trinity Church, a multi-congregational church in Chicago. In addition he is the executive director of The Simeon Trust, which partners with churches to train men for gospel ministry. In this capacity, he leads workshops on biblical exposition to promote practical instruction in preaching. Helm is the co-author of The Genesis Factor (with Jon Dennis) and a contributor to Preach the Word: Essays on Expository Preaching. Growing up, Gail Schoonmaker loved to draw pictures depicting the songs and stories she heard in church. She earned a B.A. in art from Wheaton College and makes her home in Chicago’s Hyde Park neighborhood with her husband, Keith, and their four children. But it was a nice surprise in the package. The Big Picture Story Bible is a delight to read with the kids. The colourful images are simply fantastic and out-of-the-ordinary. Every now and then you will get a picture of people looking up in the sky as though God is looking down on them. Sometimes, they are crying out to Him, other times they are rejoicing for what He has done. These illustrations were definitively a different way to look at God’s Word for sure. Even the text is different to other picture bibles we have seen in the past. It will take the reader from Genesis to Revelation and will bring parts of the Bible to life. Sometimes, you will even read a perspective not often seen in the children’s picture bibles. My kids enjoyed reading this story bible. They commented on the illustrations and thought it was very interesting to see the people looking up at you while reading it. My oldest son even took the book and sat one afternoon to go through it. He was very impressed with the whole book in general. This wonderful book would be a great gift for a child you know or simply as a baby shower gift. This review was possible because I received a copy of The BIG PICTURE Story Bible from Crossway. The BIG PICTURE Story Bible is available everywhere even at amazon.ca and indigo.ca. Recently I came upon a wonderful website for products not in plastic. With the current information going around about BPA and such, I was a little bit worried for my 2 years old and the old sippy cups we had. 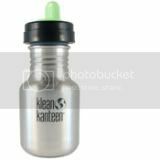 So I contacted Life Without Plastic to offer to review the Klean Kanteen sippy cup and they agreed to send it to me as well as another product. The delivery was fast because they are close to where I live. So I got the package the day after they told me it was sent. Imagine my surprise to find inside bot only the 355 ml Klean Kanteen but also the Avent Adapter with two non-spill spouts. I can transform it from a regular water bottle to a suppy cup one. The other interesting product included in my package was a stainless steel airtight watertight food storage container of 12 cm (4.75”). Made of stainless steel, this container won’t create a mess in your backpack. However, the downside is that if you bring this at school or work, you won’t be able to reheat the meal since it doesn’t go in the microwave. I guess the solution would be to bring a regular plate with you as well... However, this container is great to store something in the freezer and to reheat on the over. Personally, I think I will give it a try at camping this summer when we get the RV ready. You can use a non-permanent marker to write on the container and specify what the content is as well as the storage date. This container is dishwasher safe. This product is also available in different sizes or in a full set of all four sizes. This product is made in Korea and can be bought for 19.75 Cdn. Share Your Stuff For Free! In this time and age, we have a tendency to buy lots of stuff - movies, books, games, etc. You name it and you can be sure someone has it. For many people it is also a habit to lend these things to friends, co-workers, family and then the inevitable happens… you can’t remember who has a particular book or movie that you are looking for. Sounds familiar? Enter LobsterNetwork.com welcome to the world of “item networking”. You probably know the term social networking - with facebook, twitter and many other sites offering similar service for people. Item Networking is kind of the same except that it helps you keep track of your stuff. LobsterNetwork is centered around your stuff, it gives your friends the ability to see what you have and you can find out what they have. Let me explain. You are an avid reader, you review books and with time you realize that you have many, many books that your friends would probably like to read (yeah that’s me!) or you are a movie junkie, you own a personal movie collection that could rival your local rental place and your friends keep asking you to borrow some to them. Problem is you have trouble keeping track of who has what and when they are suppose to bring it back, LobsterNetwork to the rescue. LobsterNetwork is like having a personal library of your stuff as well as your friend’s stuff on-line. Not only can it help you to track down who has borrowed that latest movie that you have lend out but it will remind them to bring it back after the lend period has expired. You also have the option to create your own custom communities with your friends where you can share your books, movies and so on. LobsterNetwork also gives you the possibility to store an inventory of the stuff you own for insurance purposes. You can even upload a zip file containing documents or images for each of your items. If your house was to burn down to the ground (God forbid) - no problem if you have taken the time to store on LobsterNetwork a copy of all the invoices of your items. Personally, I think that LobsterNetwork is a much needed service in the 21st century. As you know, I review books and other products for various publishers. Turns out that I am a real bookworm and I love to share my books with others whenever I can. 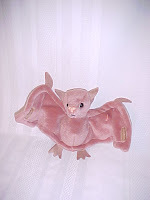 I also have lots of products for homeschooling that I could share with others. Obviously, I see numerous advantages to using LobsterNetwork. I plan on entering (a little bit every week) all items that I own. The great thing about LobsterNetwork is that I can decide if, how and to whom I want to share my stuff with. Once the bulk of the data entry will be done, keeping it updated will be a piece of cake. In this difficult time where employment is low and the markets are though, it is important to remember the value of community. The benefits that LobsterNetwork brings for sharing the things we own are simply fantastic, I think. It reminds me of when communities were smaller and everyone knew each others in town and cities. It might be time to re-connect with people in ways we haven’t thought about. Why not start today? Here's a quick video on how to use LobsterNetwork. The best part is that it is absolutely FREE! Visit LobsterNetwork.com for more information. After you have registered you can download the “Getting Started Guide” and it will guide you through the process of using LobsterNetwork. Who are John and Stasi Eldredge? STASI ELDREDGE, who is passionate about mentoring women in finding their true identity as the beloved of Christ, has been leading women's Bible studies for years. With a bachelor of arts degree in sociology and formerly on staff with Youth for Christ, Stasi now leads the women's ministry of Ransomed Heart. She has been married to John for nineteen years and together, they have three sons. The whole book covers multiple issues in a marriage and reading through it you will learn that every one have issues even well known authors. I was surprised to see that John and Stasi had brought the possibility of divorce in their discussion but it was so refreshing and encouraging that they were able to get over this issue and work on their marriage. 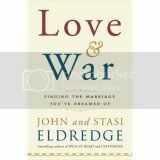 John and Stasi both write about the subject of marriage from the man and woman angle. I think it is important that a couple write a book on marriage and both share their thoughts on it. It is quite interesting to hear both of them telling us what went through their mind for various events in their life together like the whole 25th anniversary celebration. While reading this book you will get some moments where the light bulb will click and then you will understand some of the issues you are experiencing in your marriage. I realized some things from my past and my parents’ relationship. I know that marriage need some work and it’s always nice to remind yourself about this when you read such a good book... Reading this book got me thinking on the things that could improve in my marriage with my husband. And it reminded me that without God there is no way a marriage can survive. Valentine Day is coming this week. Why not invest in your marriage and read together this wonderful book from the Eldredges. You won’t be disappointed. It will speak to you and your spouse on various levels. I know it because the book spoke to me. This is definitively a book that I would recommend to any couples – engaged or married. It’s the kind of book that you will go back often throughout your marriage. This review was possible because I received a copy of Love & War from WaterBrook Multnomah. Love & War are available everywhere even at amazon.ca and indigo.ca. Any book about enhancing your relationship is good I think. And The Marriage Project is definetively the book you need to get to have fun with your spouse. And with valentine just being around the corner, it's the perfect time to go to the bookstore to get a copy of it. The book starts with the laying of the foundation for the project. In eleven chapters, the author explains how to prepare you and your spouse to experience The Marriage Project. She will explain why 21 days, what preparation is needed for the projects, creating an encouragement crew, the bonus projects, the major projects, and so on. The author also suggests other literature that you can dig in for get more information on specific subjects. The important thing about marriage is to keep the communication lines open and this little book and the ideas in it will do just that. I’m pretty sure that every couple will discover something new about each other while going through this book. I am looking forward to experience these projects with my husband. This year we will be celebrating our 12th anniversary and with four kids under the age of eight in the house getting new ideas on how to rekindle love and laughter is always a bonus for us. I am looking forward to go fishing with him this year. The last two years I wasn’t able to but I want to make the effort of spending time with him doing that this summer. And if the author plans to write a book titled The Family Project or The Kids Project, I would be more than willing to be a testing family. One book I am keeping in mind for the future is The Husband Project. The Marriage Project is available at every bookstore even at amazon.ca and indigo.ca.